Sales people everywhere share a common complaint. Regardless of industry, product, service, or company, all sales people feel they spend too much time on administrative tasks versus selling. In fact a recent data point suggests that the average sales person spends less than 20% of their time selling while the remaining 80% is spent on tasks such as recording sales data, completely expense reports, submitting weekly activity reports, or worse attending meetings. 1. Learn the tool yourself. No you don’t have to be a power user, but know your CRM’s capabilities. If possible hire an expert. An internal resource is one of the best investments a business can make in maximizing their CRM’s power. Too often a business views the cost of a CRM system as “all in”. If the dollars are there and you have a choice between hiring another sales rep or hiring an analyst dedicated to running your CRM, hire the analyst. Like having an airplane without a pilot, a CRM is useless unless you have a skilled operator running it. 2. 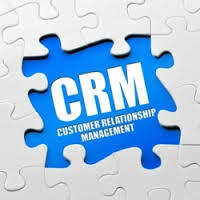 Have a point of view on how a CRM will improve sales results on an individual level. Remember, WIFM? What’s In It For Me? Sales people don’t really care how this tool will improve team performance. What they really care about is how it will help them. Without a clear picture of how using the CRM will help them be more productive, sell more and make more money, it’s likely that introducing a CRM tool will fall flat. Show people how they can accomplish their goals using it and they will embrace it. Make it clear, make it simple, and provide the training and support to educate. 3. Build a dashboard. Identify key metrics for your business. 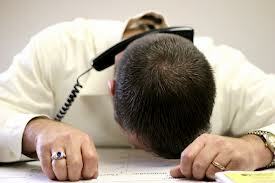 How many calls, appointments, referrals, sales, etc. Identify required sales activity levels such as how often to contact a prospect or referral source. Set up your dashboard to provide you with a clear and instant snapshot of your sales team’s activity and their associated results. Make these dashboards available to the entire sales team. People by nature like to know where they are, where they’re headed, and if they’re on track. Dashboard’s provide a simple way of keeping up to speed. 4. Modify your regular sales management and coaching meetings to include a CRM review. The saying, “inspect what you expect” couldn’t be more appropriate when it comes to ensuring compliance with sales people inputting their activity and results into a CRM. If you conduct weekly 1:1s with your sales team make sure that some portion of that meeting includes a review of their numbers. Require the sales person to provide you with a print out of their results directly from the CRM itself. Do not accept a handwritten report. Some things are simply not negotiable. 5. Establish regular reviews with Finance. One of the more common complaints about CRM systems is the quality of the information contained within. Meet with your Finance counterpart to bring them into the process when implementing a CRM tool and for the ongoing management of it. By working together on a regular basis you will be able to identify data discrepancies and work together to correct them. The inclusion of Finance will help build trust between Sales and Finance and the integrity of the data produced. 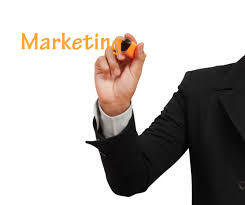 Marketing plays an important role in the growth of every business. Companies can no longer will their way to a win. Acknowledging the changes that have taken place in the buyers journey is critical for all companies trying to grow and increase market share. To do this…grow…a Marketing organization must perform with a strong sense of urgency, focus, customer insight, and innovation. Keeping an open mind and willingness to consider the unknown, or untested tactics, falls squarely on the Marketing organizations feet. After all, Marketing is all about generating new ideas that help increase revenue. 1. Define the pain. How do you know what your customers pain points are? Have you asked them? When did you ask? How long ago did you ask? What did you do to understand their business well enough to really “get” their pain? 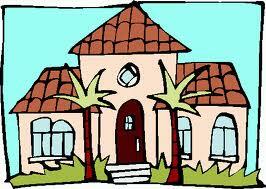 One method to help define the pain is to conduct a series of “Follow Me Homes” (FMH). This is a tactic that places you squarely in your customers place of work to observe first hand the operation of their business and the pain for which you believe your product provides a viable solution. 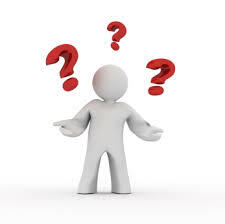 Ask questions like, “what happens if you can’t do….”, or “how does this impact you personally?”. The personal focused questions will identify fears and potential risks if a solution is not found, such as a missed bonus, tension with the boss, etc. Understanding the pain is critical and cannot be overlooked. 2. Solution vision. Once you have a clear understanding of the pain and its impact on the decision maker you can begin to align your solution against the problem. Assuming your product eliminates or minimizes the problem and pain you must focus on exactly how it creates a better life for the business and its decision maker. If it saves time, how much? If it reduces “x”, by how much? Answer the “why” question. Why does it matter? What is to be gained? Connecting those dots and providing a clear solution vision is critical for the potential buyer to see…and believe in. 3. Communicating the value of the company/solution. It’s been said that people don’t care how much you know until they know how much you care. Your brand and its attributes are crucial components of your value communication. 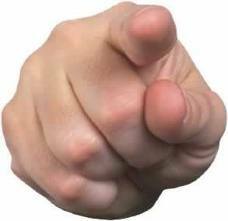 Your prospects want to know what you do, why you do it, and how you get it done. Often times the “how” is more important than the what. Think of a hair cut. Most people go to the same salon and hair dresser forever. It’s not that they can’t get a hair cut elsewhere and perhaps cheaper. But instead it’s the how, that keeps them coming back. The free coffee, cookies, conversation. The trust that’s developed over time based upon the consistency of receiving a quality hair cut is usually enough to keep you going back even if you could save some money trying someone else. Being able to demonstrate the “how” over and over again is key to communicating an effective message. Stop listening to all those who tell you it can’t be done, you’re too old, you’re not strong enough, smart enough, talented enough, or good-looking enough. Cut your ties with those who always seem to be holding you down for your “own good”. Their approach is littered with falsities all in the name of protecting you or not wanting to see you get hurt. Be selfish. Be bold. Take a stand. There is more in life that we can control than we think. You can’t change how tall you are so don’t waste any energy wishing you were taller. Focus on the things you can change; your intellect, your strength, your talents, attitude, and your appearance are all within your control. No you can’t be 18 again, so stop worrying about it or wishing you could change it. Embrace exactly where you are today. If there is a part of today you don’t like – your job, the scale, your living conditions – change it. The focus is on you. No one else. The saying, “you’ve got to love yourself before you can love others” is so true. If YOU are not important enough to change for YOU, then who is? Everything starts from within. Sure there can be external factors that motivate but if your changes are based on those factors rather than what’s inside they simply won’t stick. Take charge. What if you don’t have the skills to get a new job? Read. Find as many books as you can on the subjects you want to improve on and read, read, and read some more. Sure it takes time, but how badly do you want what you’re so desperately missing? What if you’ve tried to lose weight and haven’t been able to? Look at what you’ve done and determine where the gaps are. What did your diet consist of? How often did you exercise? Everything from food to caffeine, and exercise to sleep, affect weight gain and loss. Dig in, be honest, make a pledge and then grade yourself, daily. Most importantly stay close to those who provide positive influence and thoughts. The world is filled with naysayers and doomsday thinkers. These people are easy to identify as they use words like “can’t”, “never”, “be careful”, “watch out”, “tough”, “impossible”, “it won’t work”, and “we tried it before”. Find those that say “go for it”, “you can do it”, “study hard”, “work at it”, “keep plugging away”. Anything in life worth doing is worth doing well, and the best things in life are always the toughest things to do. Don’t settle. Be tough. Over the past several years many companies have adopted work from home policies. They call these employees telecommuters, remote workers, or plain old “work-from-home- employees”. Regardless of the titles placed on employees who perform their jobs from their homesites it’s clear that this is no passing fad but an evolution of the workplace environment. With the development of new technologies, now more than ever, employees working from home are able to be hyper-focused and extremely productive. But working from home isn’t easy, nor is it for everyone. It takes a special type of person to be effective working from their homes. Many employers are still leery of this arrangement given past experiences where an employee perhaps took advantage of being home. This is where trust is an absolute requirement for these remote arrangements to work. If you’ve never worked from home before, or you’ve been working from home but just looking for new ways to improve your job performance working remotely then read on. I’ve identified 5 elements necessary to become highly effective working from home. 1. Stake out your space. If you live alone this is a bit easier than if you live with a roommate or have a family. You must have an area of your home that is designated specifically as your office, your space, your workspace. Without a clearly defined area you may find yourself on the move throughout the day having to constantly move from one area to the next to accommodate your living companions. If you have kids make sure they know what the boundaries are as they relate to your office. Where your space is, your hours of operation, rules on noise, etc. Being clear up front improves your ability to perform while minimizing home disputes. 2. Get organized. Make sure your space has everything you need to operate. Having to go to the kitchen to get a stapler or into the playroom to get tape is not a recipe for efficiency. Limit the number of times you need to leave your “area” and it will greatly minimize any potential distractions. Distractions are the #1 killer of work-from-home arrangements. The temptation to cut the lawn early, take a dip in the pool, or get caught up in a conversation as you walk into the kitchen to grab something to drink all become distractions that risk your productive work time. 3. Take breaks. Sure there are certain jobs that require employees to be on the phone all day but in many positions if you were to be in an office you’d be in and out of your office throughout the day. Going from one meeting to the next, using the restroom, or going out to lunch provides built-in breaks throughout an “in-office” day. Earlier in my career when I landed my first remote position I found it all too easy to work nonstop. I would go into my “office” at 7 am, and in many cases earlier than that, and not leave it until 6 pm or later, barely taking time to use the restroom or eat. Breaks during the day allow you to clear your mind, take a breather and recharge a bit. Breaks are important to your creative effectiveness. 4. Shut it down. Perhaps the biggest risk to working from home is the temptation to work all the time. It’s so easy to sneak a peek on your email, or research an idea quickly on the internet. When the day ends, so should you. You’re really not doing your employer any favors working until 7, 8, 9, or 10 pm. Your ability to think clearly, produce creative ideas, and act with a fresh perspective are all impaired when you never shut down. Don’t leave your computer or laptop on. Shut it down. And under no circumstances should you take your laptop with you outside of your work area. The bottom line is that you must look at your home office like a work office. When you leave it, leave it. For those who work remote what are your best practices for working from home? We’re taught to be right at all costs. Not to make mistakes. We learn at an early age that failing is the mother of all curses in life. If we do fail the voice in our head tells us we didn’t plan enough, think enough, study enough, or work hard enough. And so begins our journey toward the ever-popular destination called “Just Enough”. We do just enough to get by. Just enough to not be too visible. Just enough to not stand out. We focus on doing just enough work to keep our jobs, get that standard raise, and maybe, just maybe, retire with free healthcare for life. (Oops, didn’t plan on ObamaCare). But doing just enough carries a huge risk. The pace of change today is faster than the speed of light. Seth Godin, author of The Icarus Deception writes about the infinite connections now created through the Internet that he refers to as the “connection economy”. The connection economy is where every human is capable of connecting with another for any reason, without needing any money, for any cause. This connected economy provides us all with an even playing field as we all have the ability to stand out, speak up, and make our unique thoughts known. The question is, are you taking advantage of this newly created connection economy or are you doing just enough? For years I worried about being right. Getting it right. Making the right decisions. Doing the right thing. My journey has been filled with ups and downs like many others. But recently I have come to understand that it’s less about getting it right and more about being sure. You see, often times in our lives it’s impossible to get it right because we simply don’t know what is right. Should you submit the report that shows your division’s poor results to your boss? Should you take a new opportunity offered to you or stay where you are and play it safe? Should you go to that big-name school or stick with the smaller college no one has heard of? The point is, doing what you’re sure of, will often times result in better outcomes for you. Being sure of something means that it feels right rather than is right. Being sure of something carries an emotional connection to making it right. If Steve Jobs worried about being right he most likely wouldn’t have invented and introduced the iPod in 2001. But he was sure it would be a hit. Mark Zuckerberg of Facebook wasn’t worried about getting it right. He was sure that Facebook was needed and would become THE way people communicated with one another. Or how about Redbox, the dvd rental kiosk company. Started in 2002 as a joint venture with McDonald’s, Redbox looked at the changing market for home entertainment, listened to what customers wanted (cheap movie rentals) and innovated. They were sure first…and ultimately got it right. Think about the important decisions in your life. Make time for yourself when you can be alone and ask yourself that all-important question…“what am I sure about?” You may be surprised by your own answer. For years businesses have sold their products direct to the end-user. Going direct required staffing a sales force large enough to cover the geographical area that the business operated within. If it was a national enterprise it would recruit, hire, and build a national sales force with hundreds, if not thousands, of feet on the street. Direct sales has been the typical way to reach the buyers that fit the business’s buyer profile. Remember the Kirby vacuum salesman? Or how about the Tupperware lady? Or the milkman, or the Schwan’s salesperson who came to your door to sell grocery items from their trucks? Times have changed. 1. The right partner. Finding the right partner takes time, patience, and clarity of the objective. But the most important element in finding the right partner boils down to shared values and culture. Most channel sales programs die on the vine because the two partners do not align culturally. As you are seeking partners to work with be sure to inquire as to their company values. Many organizations post these values online. It’s a good place to start to be sure you are both operating from the same vantage point. 2. Clear value proposition. The essence of channel programs is to create a partnership that delivers more value when combined than either partner could deliver separately on their own. Whether it’s combining payroll with workers’ compensation insurance, or Hershey’s chocolate syrup with Betty Crocker brownies, the point is that the new product created is better than either solution sold separately. 3. Easy access. The customer has to be able to access your channel program with ease. Make sure you create a clear sales path for the buyer. Having well-defined roles and responsibilities for each channel partner is critical to ensuring a satisfied buyer. If the new program created by two channel partners is difficult to obtain or access, the program will fall under its own weight. Today many channel programs utilize technology solutions that provide easy access to their offering. 4. Reporting. A dashboard should be created that tracks, records, and reports key metrics agreed upon by both channel partners. Implementing a Quarterly Business Review (QBR) with each channel partner is an important element to growing and maintaining your channel programs. 5. Escalation Process. The best time to talk about what to do if problems arise is before a problem exists. Having shared vision between the channel partners as to how problems should be escalated including roles and responsibilities must happen as the program is being developed but before it launches. By taking the time to work through each of these steps you will increase the probability of success for your channel programs while minimizing any risks that come with lack of clarity. Let me know what you think! One of business’ golden rules is to know your customer. What exactly does that mean? How well can you, or do you, really know anyone let alone a customer? How far do you go to know your customer? What can you ask or should you ask? What’s off-limits? How much information is too much? Many businesses stop short of really understanding their customer. Perhaps that’s the key. To understand someone is often times different from “knowing” them. Think about it. Many relationships fail because one person can’t understand why the other says what they say or does what they do. Friendships, marriages, partnerships, and relationships often end, not because people didn’t know the other person, but because they could not understand why they did what they did. 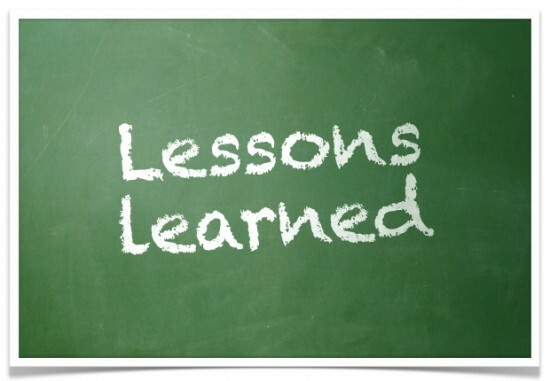 If you have a customer who has done business with you for 10 years, do you really know them? Does the length of time you’ve known someone really mean anything? I’d propose, only if you’ve invested in getting to know them deeply enough to understand them. Many businesses lose customers who have been with them for years. They leave to go to competitors who cost less and, or, offer more. Perhaps if you understood them you’d still have them. So what’s the dividing line between knowing and understanding? I’d propose that understanding someone requires far more work than knowing someone. How often do we say we “know” someone simply because we had the same class together, worked in the same building or department, or went to the same SPIN class for years? Think about how often you say the words “I know him/her”. But do you know them well enough to predict how they will act or behave? Having that level of insight requires a deep understanding of the person relative to a specific set of circumstances. How will they act if they can save a lot of money? How will they act if provided something for free? What will they do if presented with an opportunity to try something new and unproven but interesting? Gaining customer insights is a tricky business. You need to ask enough of the right questions that provide you with the appropriate level of understanding but not too much where the customer feels exploited. So where’s the line? 1. If you lost your largest client what would you do? 2. If sales increased more than 15% in a year what actions would you likely have to take? 3. If overall sales dropped significantly what actions would you likely have to take? 4. What level of savings would interest you enough to perpetuate a change in vendors or partners? These “what-if” questions will offer insight into how your customers may act when faced with certain situations. Of course no one knows for sure how they will act until they’re faced with specific challenges but these questions can provide insight into their possible actions. Beyond your employees, your customers are your most important asset. Take the time to get to know them…understand them. Make sure they know that you have their best interests in mind and at heart.